The Shaper Origin is built to take the mystery — and most of the skill — out of cutting shapes from a piece of wood. 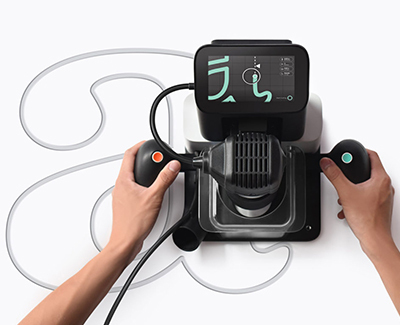 Grab Origin by the handles, place it on a piece of wood, and start tracing along the edges of the shape on Origin’s touchscreen. The drill bit will automatically correct for your wobbly, inexperienced hands. About the size and heft of a toaster, Origin is one part augmented-reality machine and one part robot. When you place it on a surface, it takes a picture of its surroundings. Removable strips of tape covered in domino-like markings help it get its bearings. As you move the tool, it refers to the picture and tape to keep track of its location. Veer off the path you are tracing and it will automatically stop cutting. 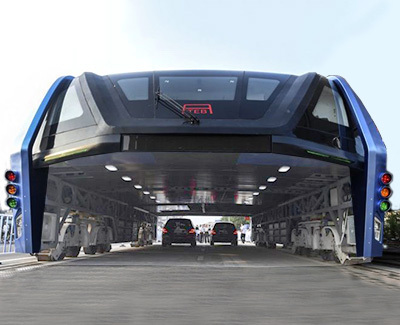 Ships next year for around $1,500. The Note 7 is made from two identical pieces of curved glass fused together with a metal band, making it feel thinner and lighter than it actually is. However, the glass on the back is a magnet for scratches. The Note 7 can survive under a few feet of water for up to 30 minutes. Although the Note 7 has a larger screen than the iPhone Plus (5.7 inches versus 5.5-inch), it is smaller, making it feel more comfortable in your pocket and even better in your hand. This year's model has an improved S Pen with a sensitive tip that feels more natural to write with. There's also a new feature that lets you grab portions of videos and turn them into GIFs. The camera is the best smartphone camera yet. Battery life is excellent, enough to get you through more than a day. It also comes with wireless charging, which works with any standard wireless charger. You can also enable fast charging if you use one of Samsung's charging plugs or wireless charging pads. The iris scanner is better in theory than in practice. Though more secure, it's an impractical way to unlock your phone, and it doesn't work well in bright sunlight. Another weakness is the software. 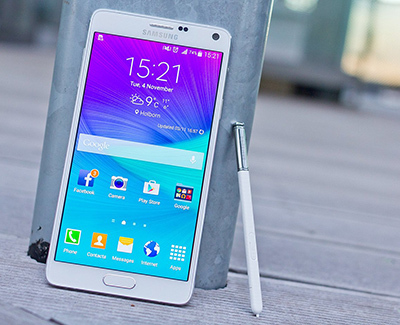 Samsung makes big modifications to Android, which often gums up the experience. Samsung has a horrible record of updating its software, and there's no guarantee you'll be getting the new Note features a year from now. The Note 7 comes with 64 gigabytes of storage, with the option to get a free 256 GB memory card when you buy the phone. 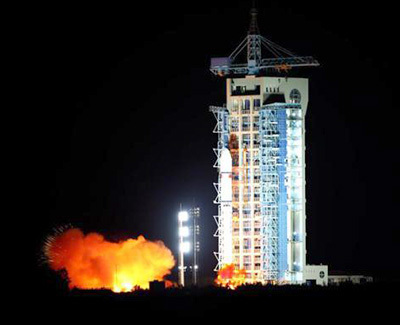 China has launched the world’s first quantum communications satellite. Quantum Experiments at Space Scale (QUESS), named Micius after the philosopher, lifted off from Jiuquan Satellite Launch Center into a sun-synchronous 500km orbit. QUESS is an experiment in the deployment of quantum cryptography. Inside QUESS is a crystal that can be stimulated into producing two photons that are 'entangled' at a subatomic, quantum level. Entangled photons have certain aspects – polarisation, for example – that are the same for both regardless of distance; if one changes, the other changes. The trouble is that photons are rather finicky things, and tend to be bounced, absorbed, and otherwise interfered with when traveling through fibres, air, and so on. QUESS will test whether sending them through space is easier, and whether one of a pair of entangled photons can be successfully sent to the surface while the other remains aboard the satellite. If this is possible, the entangled photons can be manipulated in order to send information; the satellite could, for example, send binary code by inverting its photon’s polarisation, one way for 1, the other way for 0. The ground station would see its photon switching back and forth and record the resulting data. This process would be excruciatingly slow, but fast enough for, say, key creation and exchange – after which data can be exchanged securely by more ordinary means. The critical thing about this is that there is no transmission involved, or at least not one we understand and can intercept. Whatever links the two photons is intangible and undetectable — you can’t entangle a third one to listen in, and if even if you managed to interfere with the process, it would be immediately noticed by both sides of the process, which would see unexpected changes to the photons’ states. As you can imagine, an undetectable and perfectly secure channel for digital communications is of enormous potential value for an endless list of reasons. China is early to the game with QUESS, but they’re not the only ones playing. Other quantum satellites, though none quite so advanced, are in the ether right now, and more are sure to come. The experiments from the whole set will definitely be interesting – if anyone can find a way to explain what’s going on in them. 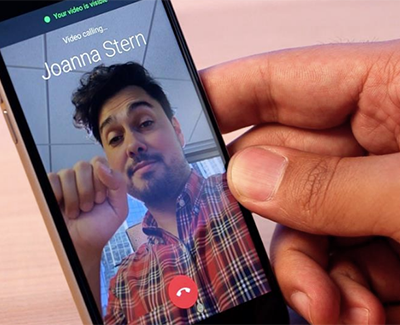 Duo, which is available for iOS and Android, has a single purpose: one-on-one phone video chats. There are no video filters, no group chats, no texting and no GIFs. Duo’s interface and setup are as bare bones as the app’s purpose. You sign up with just a phone number. On the main screen, there is one option. Tap “video call” to scroll or search your contact list for someone to call. That’s it. On the most important issue — video quality — Duo performed in line with other chat apps I’ve used. The visuals were sharp over Wi-Fi and blurry over most cellular connections. Google says Duo can switch to an audio-only feed if video quality deteriorates too much, though I never ran into that scenario. Duo’s calls are encrypted end-to-end, as with some other apps. Duo has one feature called “knock knock” that sets the app apart from its competitors. If someone calls you using Duo, a notification shows you a video preview of the caller before you pick up. Seeing a video stream of your friend waiting for you to pick up is fun, but it wasn’t a compelling enough feature for me to try to convince dozens of people I care about to download another app. Duo can only be used on phones. I use a tablet daily, and I have laptops for work and personal use. If I want to video chat with a colleague at work or a friend while lounging on my couch with my tablet, Duo isn’t an option. Even if I wanted to convert to Duo exclusively, I’d need to keep around Hangouts and FaceTime (or both). If you absolutely desire a stripped-down video-chat app, and think you can convince others to download one more messaging app, Duo is good enough for a look. Just don’t expect it to replace your other messaging apps. No Man’s Sky is a survival game. A chance to explore 18 quintillion planets, scrambling for resources, battling against an oppressive sentinel force, fighting off bounty hunters and pirates in space while discovering and naming all the phallic-looking flora and funny-looking fauna. In my first few hours with the game, it is all of this and more. Starting on my first planet – which I later named “mine” – because it’s definitely not yours – I begin searching for minerals and materials to repair my damaged ship. Everything is new, everything is exciting. 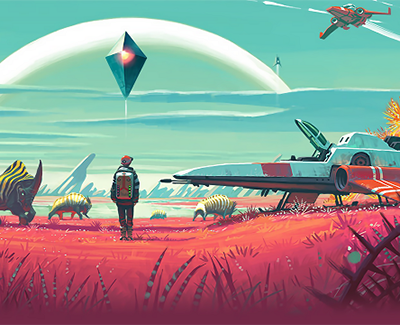 The lush red and purple landscape is awash with new experiences, chances to learn how No Man’s Sky ticks. Within an hour I have learned that Sentinels are mean, how to mine resources, learned new language, which resources are most beneficial, the fact my backpack is the size of Jiminy Cricket’s pocket, all while exploring a gorgeous new world. No Man’s Sky broke far too frequently to consider it an anomaly. Often my game crashed while trying to warp to a new solar system, which is even more frustrating when the game has certain save points, meaning at times I’d have to go back to a space station, craft the energy cells and try and warp to the solar system once more, only for the game to crash again. The game's instability dulled my initial excitement and willingness to persevere further. No Man’s Sky is a good game and will certainly provide everyone who plays it with something unique. However, the fundamental gameplay isn’t deep or rewarding enough to stick around and explore many of the planets the game has to offer. With such basic combat and inventory management, it quickly wears thin and you’ll feel like you’re dragging yourself from system to system. 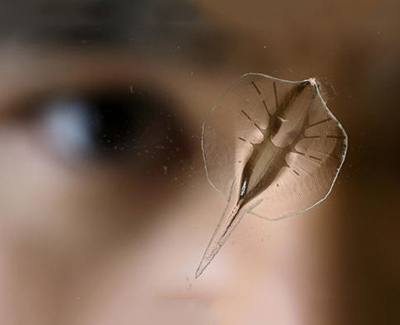 The idea of taking apart a rat's heart and transforming it into a tissue-engineered stingray first came to Kevin Kit Parker during a trip to the New England Aquarium with his daughter. Four years later, a robotic ray that swims toward light has made the cover of Science Magazine and is pushing the limits of what's possible in the design of machines powered by living cells. It's remote-controlled, guided by a blinking blue flashlight. Each burst of blue sets off a cascade of signals through the cells, which have been genetically-engineered to respond to light. The contraction of the tissue creates a downward motion on the ray's body. When the tissue relaxes, the gold skeleton recoils — moving the fin upward again in an undulating cycle that mimics the graceful swimming of a real ray or skate. 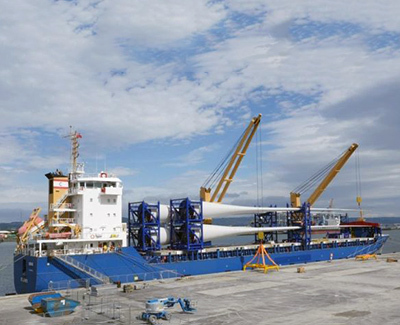 State of the art wind turbines with a diameter bigger than the London Eye are being assembled at Belfast Harbour. The 32 turbines are destined for the sea off Liverpool. Once running, they will generate enough electricity for a city twice the size of Belfast - about 230,000 homes. At peak operation each turbine can produce the same amount of energy in one day as contained in 22,600 barrels of oil.